Following the death of the host of ITV’s darts quiz show, Jim Bowen, Getintothis’ Rick Leach steps up to the oche and picks 10 darts related tunes. So. 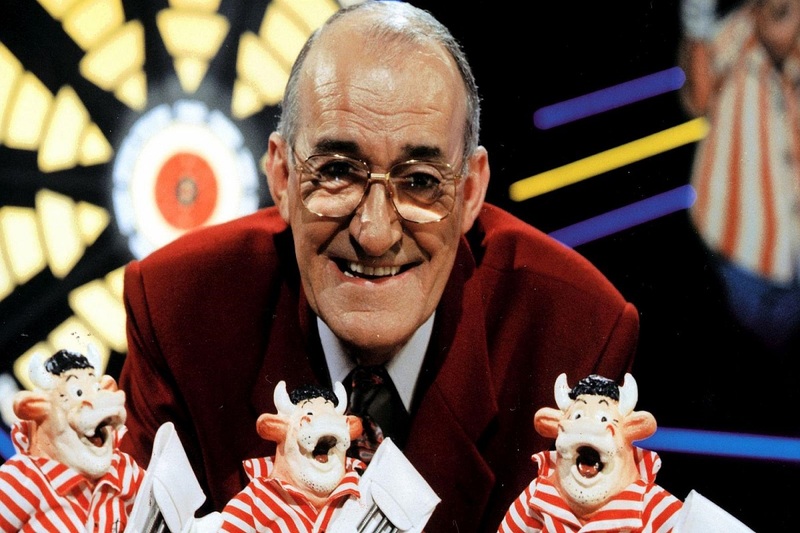 Jim Bowen, loveable host of Bullseye (and slight racist to be honest), has watched the board spin round for the final time and headed off in the speedboat to the great dartboard in the sky. Jim’s demise however has not stopped us thinking whether it is possible to select our Top 10 darts songs of all time. It should be noted that we’re not talking about the dreadful music that the professional dart players make their “entrances” with; we’ve got nothing here that would tick the boxes of Phil Taylor, Raymond van Barneveld, Michael van Gerwen or the rest. Nothing that would rouse a crowd at the Alexandra Palace or Lakeside, thank God-although it should be said that while researching this list it turns out that not all darts players have shite walk on music, most of them do, but not all. We’ve swerved Snap’s The Power (favoured by Phil Taylor), Dire Straits Money for Nothing (Adrian Lewis) and Foreigner’s Cold As Ice (Alan Warriner) to come up with our own (loosely-based) darts Top 10. From Mr Skinner’s Original Pirate Material, we give you Sharp Darts. Now, we’d guess that ‘sharp darts spitting masters/spitting darts faster’ is not actually a reference to a game of arrows, but we can stretch the point a bit. How often have you found yourself struggling to finish on the double? Well, next time you’re having a bit of trouble hitting that double ten, just relax and play this swinging jazz classic by the great Buddy Rich in your head. It possibly won’t work but it’ll make you feel a whole lot better when you miss the board completely. Having to finish on a double one is, for those not well-versed in the arcane terminologies of what is, in essence, a very simple game, termed as a madhouse. This is because it’s a pain in the arse to get one and guess what? It sends you to the madhouse. Shaggy-haired thrash masters Anthrax actually do look as if they’d enjoy the odd round of darts every now and then, even if this video has no reference to the noble game whatsoever. Three treble 20’s. One hundred and eighty! 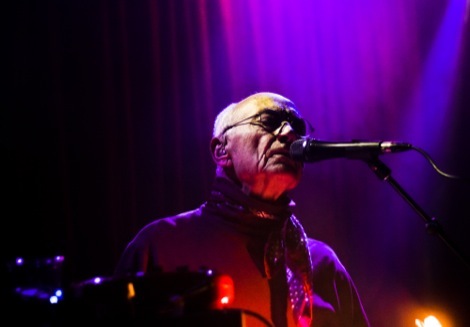 And here’s California’s very own Grandaddy not singing about darts but coming up with a very pretty tune nevertheless. Now if any artist was ever going to nail the old pub/ Formica-topped table/metal ashtray/darts culture to a tee then it would be Mark E Smith and his merry band of troubadours. There’s only one darts line in this Fall classic, but that’s all you need. Smith nails it. Obviously. There’s quite a philosophical debate to be had as to whether darts is a game or a sport. If the all-powerful Murdoch empire that is Sky Sports is to believed (ha!) then, it’s clearly a sport and big enough to warrant its very own dedicated channel. Tears of frustration and anger were shed by darts fans every year that Phil Taylor got nominated (or not) for the BBC Sport Personality of the Year Award and got nowhere. Not even Top three. Hmm. Not exactly like winning the 100 metres, Formula One or Wimbledon though, is it? Unless we’re very much mistaken, darts doesn’t really stretch you aerobically. A game or a sport then? Maybe it’s more semantics than philosophy. A post-modern debate. Jacques Derrida would have a field day. More darts stuff. Not from our own Caitlin Rose, who’s extolling the virtues of smoking in this delightful ditty. Like Mark E Smith, XTC’s Colin Moulding (in his Dukes of Stratosphear guise), encapsulates the dark and inherent sadness of English pubs (with a side order of darts) in this two-and-a-half-minute ode to what increasingly seems to be a bygone age. An age when men drank pints of mild, smoked Capstan Full Strength and played darts. And women didn’t. Sometimes the old days weren’t really the best. In 1982 Dexy’s Midnight Runners appeared on TOTP’s to perform their smash hit and ode to the great soul singer, Jackie Wilson. The backdrop to their performance however, featured a massive image of the Scottish darts player. Jocky Wilson instead of the lad from Detroit with the voice of an angel. Now there’s a kind of double urban myth about this ‘mistake’. Originally, it was thought that it was an error by the show’s producers who had no idea who Jackie Wilson actually was or who Kevin Rowland was singing about. This was quite good because it a) confirmed our belief that TOTP hadn’t a clue and b) notoriously po-faced Rowland went through the whole song with a photo of a darts player behind him without realising what had happened. So pervasive was this tale that it was reported as fact by Jeremy Paxman on Newsnight upon the death of Jocky Wilson in 2012. However, the ever-affable Kev R subsequently punctured this tale, by stating it was his idea all along. ‘We thought it would be a laugh,‘ he said. Of course you did Kevin. Something you were always up for. A laugh. In fact, if you watch the video very carefully, you can see him barely able to stop giggling. The lyrical glory of Wire is that you never really know what they were going on about. Sometimes a tad obtuse. We’d like to think that this tune from their debut album, Pink Flag, is about darts, but it’s probably not. But then again, knowing WIre, it just might be. Not only that, but we reckon Wire would have done pretty well if they’d dropped for Spelling on Bullseye.